With the world at your fingertips, one would assume that online marketing for your business is more than sufficient to survive in the market. Entrepreneurs who are new to the online scene assume that putting out a word about your product would automatically get you the attention of your target audience. We hate to be the bearers of bad news, but apparently, many new enterprises are coming up every single day, and a good portion of them operate through online sales. That makes your worldwide marketing just a drop in the ocean of content for readers across the globe. We also happen to bring the best possible solutions to the table to grow and further your business. Narrowing down your marketing to the local geographical areas of where it will be sold also narrows your competition. It creates a niche for you to operate in. This is called a local search engine optimization or local SEO. There are several unconventional tricks you can use to rule the local SEO scene. These tricks are important for your organization to do well. For those of our readers who are not aware of the semantics of a search engine optimization tool, it is a method used by SEO experts or Digital Marketing Manager to make your website appear on the audience’s feed when they search for your product. Like one would already, there might be a million businesses selling the same products as you do. Similarly, they would also be posting content on the World Wide Web to market their products to an audience stretched across the globe. So, do you understand the scope of your competition when you post content online to market your products to an audience ranging across the globe? This is where local SEO comes into play. Alright, but what exactly is Local SEO? A local SEO means that you market your product closer to the geographical area where you store or sell your product, or have an office in. You optimize your business’s visibility by putting out the city’s name that you operate in and your address details too. For instance, if you are a ply vendor in Louisiana, it makes more sense for you to add keywords like Quality ply vendors in Louisiana or Best ply vendors in Louisiana. Let us illustrate how that would play out. Imagine you’re a resident of Louisiana state looking to refurnish your house. You go on the web and type out the most basic and relevant search criteria which we call as ‘keywords,’ which in this case would be “ply vendors around me” or “ply vendors in Louisiana.” With local SEO in place, you see how your business is more approachable for your target audience. Optimizing your website rank online only makes it easier for prospective clients around you to convert into leads. Local SEO also helps these leads in finding you offline for many transactions. You create a niche with your particular business within the particular region. Makes your life easier, right? 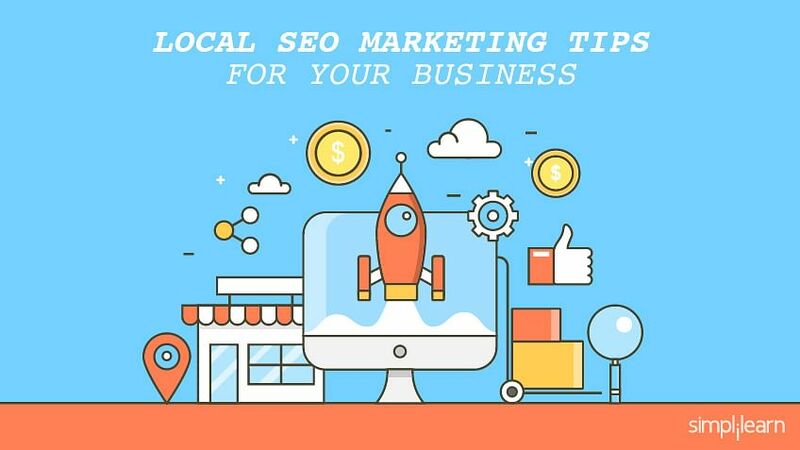 If it is a local business, old school methods such as print fliers and word of mouth also contribute to local SEO optimization. If you are an international business operating in various regions of the globe, your best bet is to create different content to optimize local SEO for each particular region. Now that you’re up to full speed with the semantics of local SEO let’s introduce the role of the big daddy of search engines in this tool. Google is the first name that pops in one’s head when they’re looking up for something on the internet. So much so, Google has become a verb where people say “I just googled it and the results were mind-blowing!” So now you know the power of a search engine. Your business’s visibility on the results isn’t easy to attain unless of course, you know the successful workings of an SEO. The recent update of Google’s algorithm update is a broader, global and core algorithm update filtering the rankings of its search results. This updated is nicknamed the Medic Update due to its alleged focus on health and medical sites apart from Your Money Your Life Sites. Well, of course, the company will not confirm the stealth focus. Google, however, advised sites against wasting any time regretting lost traffic and focusing on putting out better content. The only thing that brings back your old traffic and more is relativity and utility of the website. The August 1 update has been fully rolled out in its following week and has affected many websites and businesses. Digital marketing managers and SEO experts have advised shocked domain holders to put efforts into making it a better experience because the update is remorseless. Google has put out a word that during their several updates throughout each year, many sites gain and lose traffic in the process. However, one should see it as a change in the system where underrated sites get a chance to perform better. The only thing, according to Google, that could relatively raise your web traffic is by building and sharing useful content. It is a global rollout, and the update has affected all domains and regions. Out of one of many instances, this is yet another way to look at it. Analysis depicts the fluctuations by niche for the first, second and third set of results before the new Google update and then during the process of the new Google update. The analysis shows how fast changes among ranking were seen across specific niches, including medical and health area, finance and home goods. For instance, the home goods niche changed from displaying a 90 percent match during the first result of the baseline period to a staggering 82 percent during the rollout of the medic update. Analysts have discussions aiming at the massiveness of this update. Google may shed this as one of their tri-annual updates, but none of their previous updates has ever made as much change to businesses and domains as this one has. What are the measures businesses and domains can now adopt for an effective Local SEO? To dominate the online market, you need to understand that search results and website rankings constantly keep on changing based on the browsing behavior of the user, keyword search, location, and relativity. To gain more traffic and quantifiable leads, you must indulge in effective local SEO as that would help your business’s name appear higher and higher on search results. Do you ever go to page 6 of the Google search results? No, isn’t it? Hence, this emphasizes staying on top of the game. Play out your Title and Meta Description cards well. Last year, Google upped their width of title and summary description to 600px meaning you can now summarize your content in more words. For it to work out the best results, it is advised by experts to insert the relevant keywords at the beginning of the article or post, i.e. in the Title and Meta Description. In the two line summary of your post, the viewer decides if he wants to read your article or not. If your title and description are not impactful, your website is doomed to suffer through a low click-through rate or CTR. Every character counts! Are you listed on the local directories yet? Experts have reported that 3 out of 5 users go through local directories first before narrowing down their search. If you haven’t listed your name, address and phone number (NAP) with a local directory yet, imagine the number of opportunities you’ve lost. Even top online directories like “Yelp!” should be on your list. “Consistency is the Key,” say experts on local marketing tips. Make sure the name and other details are spelled correctly, or it will create havoc that Google will have no way of fixing. Have you claimed your Google My Business yet? That little box that appears when you search business with its address, timings, website and phone number is the result of a claimed GMB. Don’t fret just yet; it’s free. Google will send a pin via postcard to your physical business location as a verification procedure and you’ll be set then. A study suggests that users prefer to deal with fully listed businesses as it reads legitimately. Claim yours now! Now is the time to optimize it! Add about 10-15 good quality pictures of the service/commodity you provide. List your business in the right category. For instance, if you are a Chinese Restaurant, being listed under the umbrella tag “Restaurant” won’t do wonders for your business. Update your working hours. And never forget, in an online world, reviews matter. Local SEO is all about optimization. If you that achieved, you’re on to forfeiting your competitors and rising on that search results ranking. Stay on top of your competitors, their citations and review; and the keywords they’re working with. It is a mixture of social media strategizing and SEO optimization.